A child playing with his Superman toy, a speeding bullet and incomprehensible human behavior. This happened in Highland, Calif., but sadly, will be a familiar sort of story for most U.S. daily newspaper readers. A child, in this case four-year-old Daniel Muñoz, died Wednesday after being hit by stray gunfire in his front yard, where he was playing. 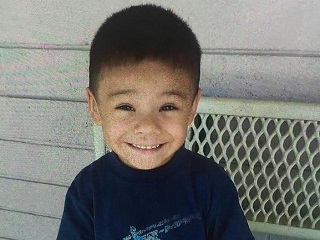 Little Daniel Muñoz would have to wait until next time to join his family on their trip to Knott’s Berry Farm, his mother told him. With family packed in, there just wasn’t enough room for the [Wednesday] ride to Orange County, so he and his sister would stay back at their aunt’s Highland home. “We’ll take you next time,” Yuliana Morales again told her four-year-old boy. Then came Wednesday night and a bullet that changed everything. Directly below Valenzuela’s piece, on the front page, is an item involving another theme park. In a better world, Skypark at Santa’s Village is a place little Daniel would have also been able to visit in the near future. RIP.